Designed for HP's Z8 G4 Series Workstation, the Xeon Gold 6154 3.0 GHz 18-Core LGA 3647 Processor from HP has a base clock speed of 3.0 GHz and comes with features such as Intel Turbo Boost 2.0 and Intel Hyper-Threading technology. With Intel Turbo Boost 2.0 technology, the maximum turbo frequency this processor can achieve is 3.7 GHz. 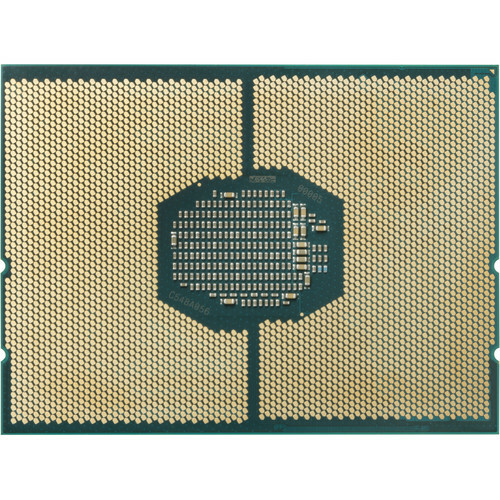 Additionally, this processor features 18 cores with 36 threads in an LGA 3647 socket and has 24.75MB of L3 cache memory. Having 18 cores allows the processor to run multiple programs simultaneously without slowing down the system, while the 36 threads allow a basic ordered sequence of instructions to be passed through or processed by a single CPU core. This 14nm semiconductor processor supports up to 768GB of DDR4-2666 RAM, PCIe 3.0, AES New Instructions, AVX, AVX2, and AVX-512 Instruction Set Extensions. There is no integrated graphics controller, so users will need to purchase a compatible dedicated graphics card of their choice. Included is a heat sink and protection is provided by a limited 3-year warranty.